We like to combine options. Mix and match; get the most out of any activity. Even when we talk about walking around the city. Bilbao or San Sebastián, for example, invite to walk around, with a medieval old town that every few meters offer stops in bars where you can taste some wonderful pintxos* while observing the bustle of the locals conversing around the bar with their glass of Rioja wine in hand. Also very appealing is being able to cycle along the multiple cycling paths around their flat areas. For example, next to the riverbank (Bilbao) where you can see some beautiful work from renowned architects such as Siza, Moneo, Gehry, Calatrava, Isozaki, Foster… In San Sebastián, we can offer a special tour around its bay, crossing the river and continuing towards one of its farthest beaches. 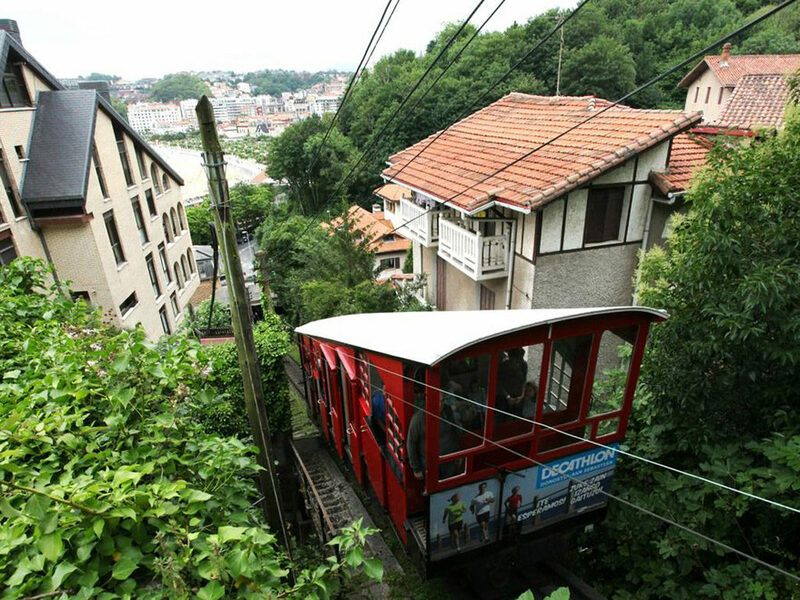 To contemplate the beauty of these cities from a different perspective we use the funicular. By taking the funicular near the Guggenheim you can also experience the city Bilbao from the top of the Artxanda. A wagon of 1915 built by a Swiss company. 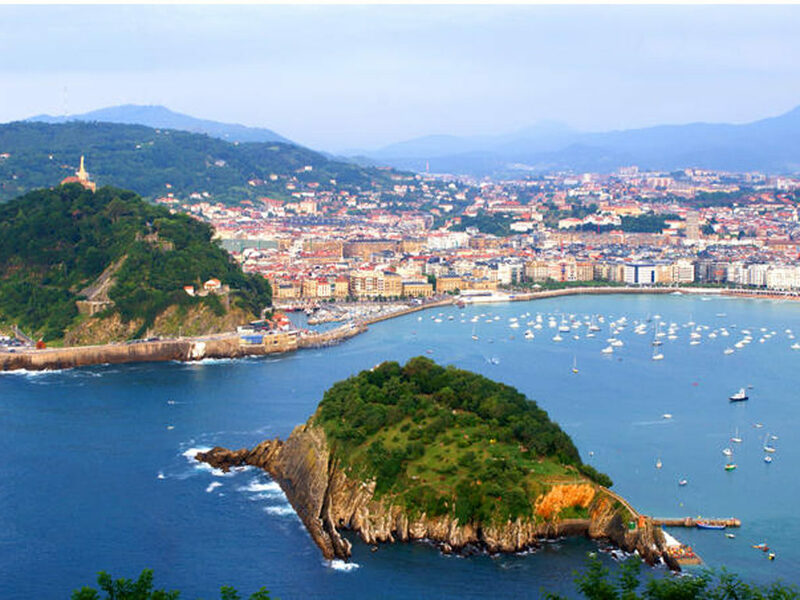 The same happens in San Sebastian, the views from Mount Igeldo leave you breathless. 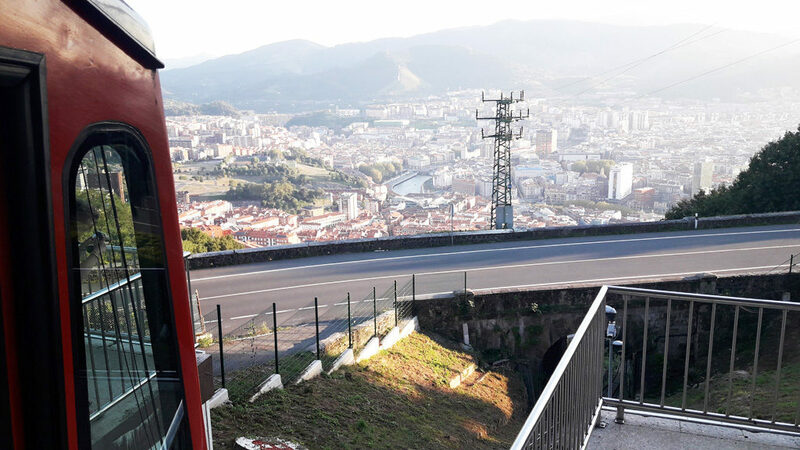 Take the third oldest funicular in Spain, inaugurated by Queen María Cristina, and climb the old amusement park (1912) that crowns the summit, it is a trip to another world. Of course, the tour ends up navigating the estuary or reaching Santa Clara Island, which shines in the center of the famous shell-shaped bay. Do you want it all? Get closer! Come to visit us. @ FUNICULAR IGELDO. MIKEL FRAILE. *pintxo bars, small finger and bite size mini dishes.